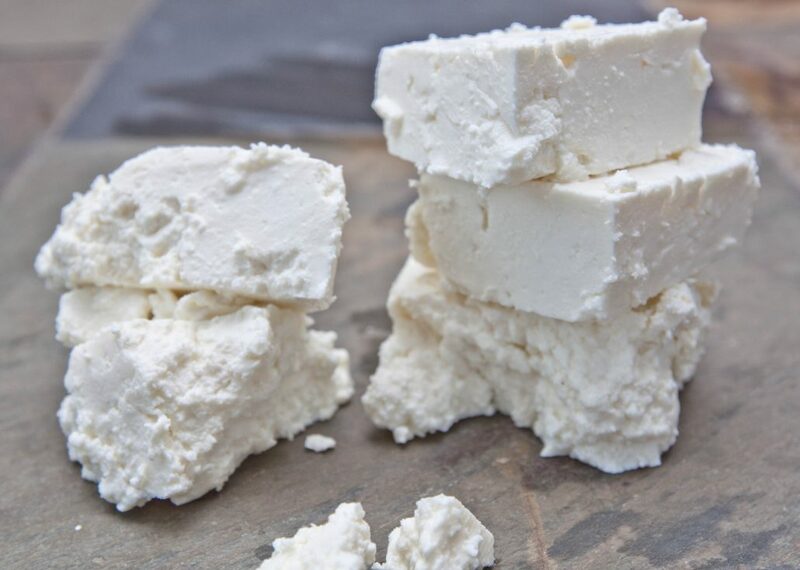 Traditionally made from sheep’s milk or a mixture of sheep and goat’s milk, most Feta sold around the world today is partly or wholly made from cow’s milk. It’s not known exactly when Feta was first produced but there are references to cheese-making in ancient Greece as far back as the 8th Century BC. The Greek word ‘feta’ comes from the Italian word ‘fetta’ meaning slice. Feta is a brined cheese, meaning it’s covered in a brine solution of un-iodised salt and water which gives the cheese a salty and tangy taste. Its texture depends on its maturity and can range from creamy to crumbly.